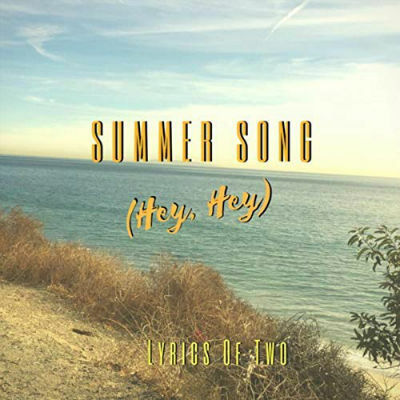 Summer Song (Hey Hey) is a refreshing and avant garde country pop song from Los Angeles based band, “Lyrics of Two.” The track was written by band founder Marie Helen Abramyan, a songwriter and poet whose work we’ve featured before. One thing Marie has become known for in her writing is an emphasis on seasons. Her poems and songs often capture the essence of a particular season, and its role in nature. Like previous hits such as LFO’s Summer Girls, Lyrics of Two’s Summer Song (Hey Hey) manages to capture the “feel” of summer and deals with recapturing the carefree spirit of summer that’s been lost somewhere in the grind of day to day adult life. The incredibly catchy “Hey Hey!” hook of the chorus serves as a kind of wake up call for the soul. The song is upbeat from start to finish, conjuring up images of frolicking on the beach with friends and throwing frisbees around. It is upbeat in a way that only the season of summer could be, with the feelings associated with the adjacent seasons both left behind and waiting subtly for their turn, temporarily relegated to the margins. Ben Rebel already made a splash on the scene when he was younger as a member of the 90′s group, “Lost Children.” I’m told that some of the original members may be reuniting for an upcoming release this November. Betta Dayz marks the first official solo effort for Ben and is being released on Diac Immortal Records. I’ve reviewed artists from this label before, and it suffices to say that this outfit is quickly assembling quite a nice little catalog. Betta Dayz is categorized as “deep house.” It’s fast paced dance music all right, but rather than coming across aggressive or overly testosterone fueled, this strikes me as cool, laid back and contemplative. This is dance music for intellectuals. The opening track is hypnotic and could probably put the listener in a trance if one allowed him/herself to be totally focused on listening to the music. Lyrics are few and far between as Ben wisely doesn’t make these songs all about him, opting instead to let the music do the talking (and it represents him just fine.) Sporadically some vocals can be heard faintly in the mix, but these merely accentuate and help frame the song’s messaging. 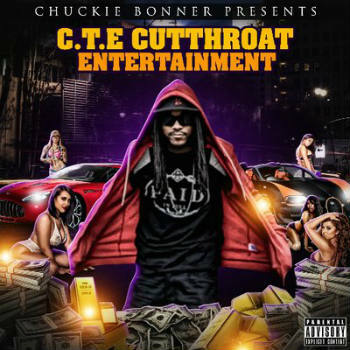 The song makes several transitions, continuing to incorporate new musical elements and revitalize itself. 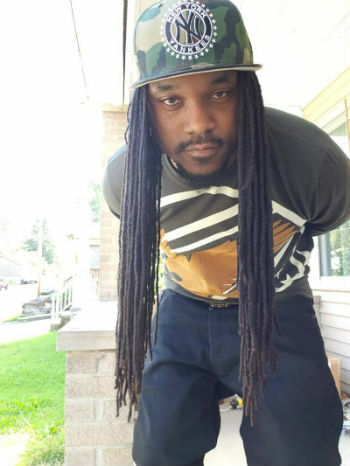 The second track, ReleaseTHAPRESSURE continues in much the same vein. It’s mellow and casually futuristic, but the song retains enough dynamic components and surprises to keep people moving and shaking on the dance floor. Instead of merely building toward a climactic point near the ending of the song, what each of these tracks do is kind of ease in and out of different sound segments, zig-zagging from one groovy hook to the next and back again like a game of Brickout. 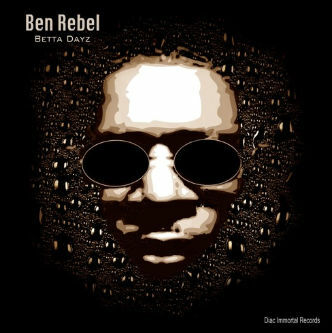 I’ve never met Ben Rebel or seen any videos of him, but one gets the sense this guy has to be one of the most chilled out dudes on the planet. These songs are smooooth. No abrasiveness, no attitude…just like the title of the song, this guy has found a way to release the pressure. Production wise, everything here is pretty solid. Everything is where it needs to be in the mix, and effects and EQ are used sparingly and effectively. 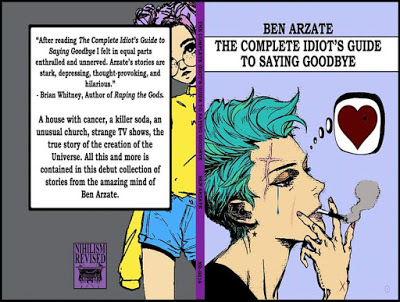 If you’re looking to get a hold of these jams, they’re not available quite yet. This EP is scheduled for release on 10/26/18, so you’ll have to wait until then to snag a copy, but it will be worth it. 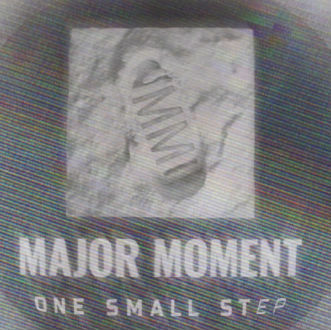 one small stEP is an EP from Boston based band, “Major Moment.” The band is heavily influenced by groups like Linkin Park (the album is even dedicated to the late Chester Bennington,) Nine Inch Nails and 30 Seconds to Mars. The intro is a pleasant surprise, a brief and eerily cerebral instrumental number that sounds like it could have been on the Poltergeist soundtrack. Before it’s Too Late is the first full length song. It features a lot of musically dynamic elements, some solid vocals (the verses are particularly good) and a memorably killer Iron Maiden tier guitar bridge near the end. The songs on here tend to start out mellow, with tepid intros and slowly build until they kick in with heavy, saturating choruses. You can just feel the energy when the song kicks in, like you’re near a mage unleashing a spell at full force. The Release is the softest tune on here. Instrumental in nature, it features delicate piano and captures a quiet, haunting ambiance. Vocalist/guitarist Andrey Borzykin (whom I never would have guessed is from Russia) has a great, unassuming voice. It has an early 2000s emo quality but without sounding whiny. It’s very soothing and is complemented by (fellow Russian?) Alexandra ‘Sasha’ Razumova. The band plays very well together. They’re all on the same wavelength throughout this album. Lead guitarist Gabriel De Mattia continues in the tradition of excellent guitar players from Brazil (why are there so many?) Drummer Adam Soucy does what drummers do and holds the framework of the songs together. These are not the easiest songs to drum to I would imagine. There are a lot of changes to keep up with. One impressive thing about one small stEP is the diversity of sound within songs. There is a lot of variety in the pacing, tone and the way in which synths are utilized. They really do cram a lot of creativity into each song. There is not a lot of repetition here, and no corners are cut (no copy and pasting, looping etc.) Unlike with many bands that sound nothing like their claimed influences, the music of Major Moment actually does bear an uncanny resemblance to Linkin Park, although it doesn’t contain the “rapcore” elements many associate with classic Linkin Park songs. This EP is worthy as an homage, but clearly the band has their own distinct sound, which has proven to be able to stand on its own. 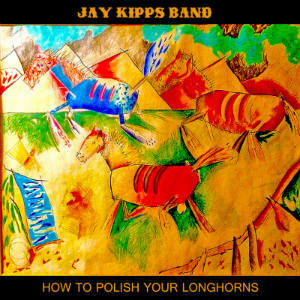 How to Polish Your Longhorns is a new full length album from Jay Kipps Band. 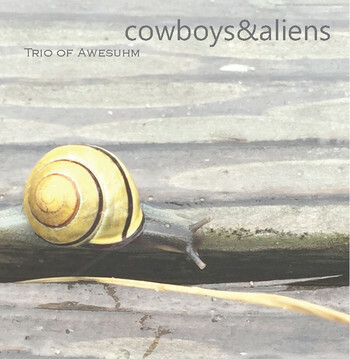 I would describe the sound as almost a “psychedelic country.” The band classifies their style as “Roots Americana” which explains the eclectic influences. The guitars remind me of the music from old Clint Eastwood westerns of the 60′s. This was my first impression anyway upon listening to the first track, Colt 45. Rotten Apple Blues settles into a more familiar and contemporary country/Americana sound. Featuring a catchy title and chorus, it’s one of those songs that strikes me as an instant country classic. Country/Americana artists seem to be very good at coming up with clever titles and concepts for songs (such Mel Tillis’ Coca Cola Cowboy etc.) 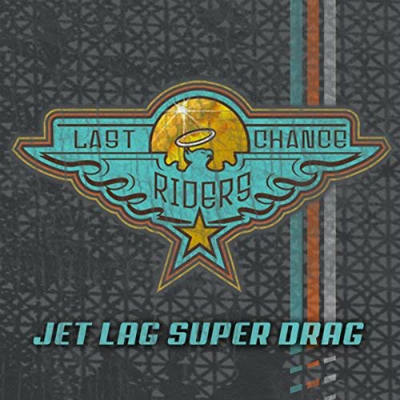 What seems like a rather predictable track, Big Old Engine surprises by taking on 60′s rock n’ roll qualities, particularly with respect to the backup vocals on the chorus, which wouldn’t have seemed out of place on a Velvet Underground track. 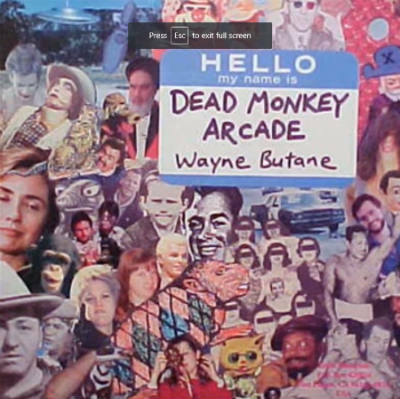 Besides Rotten Apple Blues my other favorite song on this album is Harp Bomb which sounds like music which would appear in a vintage video game RPG. It just has this bright, be-boppin’ feel to it. I don’t know…you just have to listen. 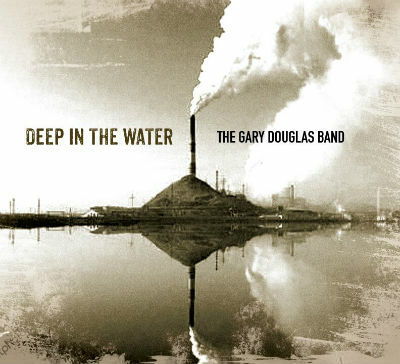 This album is genius and demonstrates that Americana artists are far more imaginative than many people give them credit for.